Summary: "Around the world, black handprints are appearing on doorways, scorched there by winged strangers who have crept through a slit in the sky. Thoughts:Daughter of Smoke and Bone has everything I love about reading. From the exotic, vivid setting, to the alluring and captivating characters and finally the elegant, brilliant writing, I easily fell in love with this book. I cannot tell you how many times I've put down whatever I was reading, just to go back, pick up this novel, and reread all of my favorite scenes. Really, it's that good. Daughter of Smoke and Bone stands out far beyond all the other angel books. Why is that? Well, believe it or not, while this book is about the battle between angels and devils, it has nothing to do with religion. It's about war, freedom, love, sacrifice, pain, hatred, but most of all hope. From the very first line, I was sold and trapped in the story for days. 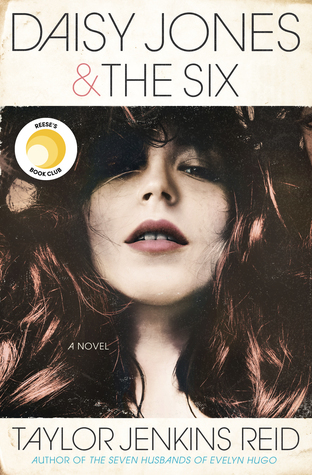 Karou is a normal seventeen year old girl, with a not so normal life. She was raised in a shop, where teeth and pain will buy you different levels of wishes. Brimstone, the Wishmonger, is the one who raised her and her family consists of chimaera, part human, part something else. She runs errands for Brimstone in exchange for wishes, where she uses them frivolously on things like her hair (it grows out blue). All her life, she has wondered who she is, and how she ended up with Brimstone. It's not that she has lived a bad life, but that no one will tell her who or, maybe what she is. Then, while in a market in Marrakesh, she runs into Akiva, a gorgeous seraph with eyes like fire. He immediately attacks her, and she barely escapes, but yet, she can't help but feel something for him. What she doesn't know is that her and Akiva's lives intertwine in a way she never thought possible. And it will forever change. What I love most about this book is how easy it is to fall in love with each and every character. While the story focuses mainly on Karou, you also get to experience other character's lives, such as Akiva and Brimstone. The chimaera and seraphim have been at war for as long as anyone can remember. All they know is war, but all the main characters are unique in the sense that they hope for something different. Something better that they never thought possible. The best way I can explain this story is from a line in the book. I'm having the hardest time writing this review because, simple, it cannot be explained. It needs to be experienced by you, the reader, and everyone you've ever known or met. I'm not even kidding. 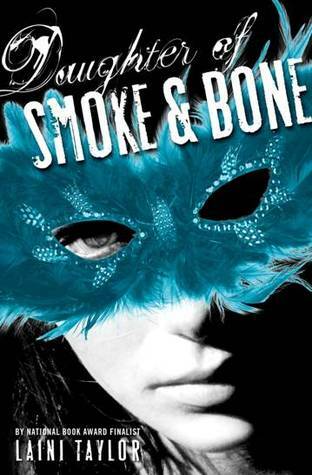 Daughter of Smoke and Bone took my breath away and never gave it back. The love story behind it broke my heart, but also left me with, you guessed it, hope. This is one of the best novels I've read in quite some time. If this book is not on the best sellers list come release day, I will be shocked. I guarantee that this book will be the one everyone talks about, and really, do you want to be left out? I didn't think so. This is a bit of a double giveaway. I am giving away an ARC of Daughter of Smoke and Bone to one US participate, but I'm also giving away a pre-ordered final copy of open to both US and international participants (provided the Book Depository delivers to your area). WOOHOO!! To enter, please fill out THIS FORM. This giveaway will end September 14th, so I can not only get the ARC out to the winner before the release date, but also so the final copy winner will receive their copy ASAP (hopefully on release day). Glad you loved it so much! And YAY for loveable characters! I love falling in love with them :) Oh, and seriously, glad it's religion is not such a big part of it, as it seems it is in all the other angel book. I mean no offense, but they get preachy really easily and that's not something I enjoy. This sounds really promising! Fabulous review! I've heard a lot of good things about this, but your review really makes me want to read this. It sounds like an exciting, original into the world of angels. I know what you mean! I cannot describe the way this book made me feel! I want to say it's like no other book I've ever read! BEST BOOK of 2011! IMO. I gave my arc to a friend and now I want to read it again. Can't wait until the release. You make me really really want this book! Thanks for the giveaway. Thanks, everyone! Seriously, this is one of the best books I've read in a really long time. You need to check it out!!! I will definitely be checking this one out. I haven't heard one bad thing about it. I love Laini Taylor's writing and have been wanting to read this book for a while. Thank you for the giveaway--fingers crossed!